Traditionally, Native American women were integral to native governance. In fact, the majority of tribes were matrilineal. Women were not viewed as being inferior to men. They were entrusted with vital, respected decision making positions. Men’s and women’s roles were viewed by both genders as being distinctive but complementary and of equal importance. Even in patrilineal tribes women were held in esteem as equals. Violence against women was unusual and was not tolerated by tribal communities. Women were valued as being uniquely powerful, practical, reasonable, strong, and spiritually discerning. Elizabeth Cody Stanton and Matilda Joslyn Gage, women’s rights advocates of the mid-nineteenth century, expressed great admiration for the egalitarian worldview modeled by the Iroquois. Whereas these two women felt disenfranchised by men in their own patriarchal culture, they witnessed firsthand the dignity with which Iroquois women were treated. Iroquois women were not similarly marginalized but exercised considerable influence. Stanton and Gage noted that the nomination of chiefs was entrusted to Iroquois women. Women were likewise free to initiate definitive, corrective actions if they became disenchanted with the actions of an errant chief. 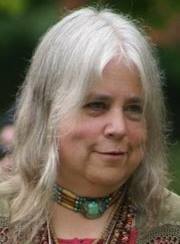 It may warrant mentioning that although early white feminists are rightly celebrated for their awareness and courageous initiative in relation to gender issues, many Native American women view the impacts of racial discrimination and class status as far outweighing gender bias as being the primary determinants of oppression in the lives of women of color. A fuller view of the causes of their oppression must take into account the pervasive and debilitating impact of the Manifest Destiny and colonization upon Native Americans. With colonialism came the wholesale importation and imposition of a hierarchical, Eurocentric model of governance that ran counter to Native American practices. Its patriarchal view and biased suppositions claiming the inferiority of women had far-reaching and devastating consequences in the lives of countless Native Americans. For instance, white government officials and settlers typically refused to talk with tribal women regardless of the women’s leadership roles and status within the tribe. The undermining of kinship traditions, the persistent lack of acknowledgement of female leadership, the forced displacement, abuse, and annihilation of native peoples, and the violation of indigenous homelands served to cut off at the very roots much that had successfully sustained the integrity of traditional cultural values. The sense of place, a profound kinship with the land, and its inhabitant’s respect for the reciprocal nature of relationship between all living beings was of paramount importance to Native American spirituality. The natural homeland as a place of reverence was a kind of sacred geography as essential to Native Americans as was the primacy of the church building to many European immigrants. In direct relationship with nature, life, and death Native Americans viewed time as cyclical and reciprocal. The prevailing mindset of the invading Europeans was by contrast given over to linear thinking and concepts of ownership that were the antithesis of indigenous experience and values. To the Native American the living, the generations to come, and the ancestors were inextricably and holistically connected as a sacred ecology from which a natural theology was recognized. While there was much diversity among tribal groups, a common hallmark of the over 500 tribal nations is that its land-based experience spawned sensibilities and cosmologies that embodied a deeply informed awareness of the relational interconnectedness of all creation. Thus native religion was naturally and intrinsically bound in vibrant relationship with specific bioregions. Within the rich and multidimensional circumference of bioregion all was considered sacred. Thus, to witness exploitation of nature was to native peoples nothing short of utter disregard for the Creator, and was equivalent to seeing the desecration of one’s beloved church or violation of one’s mother. Pervasive displacement of native peoples from their ancestral homelands was a vehicle of religious persecution and genocide. An undeniable part of the legacy of the dominant culture is that the sovereignty of over 500 indigenous nations on this continent called Turtle Island has been violated and its lands have been largely desecrated! So it is understandable that contemporary Native American women activists often articulate and exercise a distinctive feminist ideology that takes into account the necessity of environmental justice, reclamation of displaced kinship traditions, and the concept of “birthright’ in relation to homelands. Remarkably the strong oral tradition integral to traditional native culture has survived and continues to uniquely inform and rekindle native women’s vision and activism today. In fact, indigenous women from all parts of the globe are gathering, networking, and articulating their concerns and hopes. Future installments will address issues specific to indigenous women, their struggles, and their vision. Many people in the United States continue to rationalize or understate the magnitude and unjust impact that the legacy of the Manifest Destiny has had on indigenous populations including its contemporary incarnations (economic usurpation and environmental degradation of ancestral lands) which continue to violate indigenous peoples. Do nations of our earth actually share a consensual view about any of this? In 2007, after twenty years of study and dialogue, The United Nations passed a landmark Declaration on the Rights of Indigenous Peoples. 143 nations endorsed the resolution which affirms and upholds the rights of self-determination to the world’s indigenous groups. If returning an entire continent to the descendants of over 500 indigenous nations is untenable how then will the United States begin to make authentic restitution? Perhaps one way is for its citizens and governing bodies to reach beyond tokenism and make a steadfast commitment to foster true freedom and justice for all.